The trip is going well, since their arrival they have been involved in a painting project and helping at Mother Viaks orphanage playing games, reading and drawing with the children. They have also participated in a reading club in the evening which takes place in the vicinity of the volunteer’s house and is another opportunity to engage with the youngsters. In addition to this Capt Scott, Reece Hustwitt and Alexandria Andrayas have visited a local regional hospital. This has been especially eye opening for Reece and Alexandria who are looking to pursue a career in medicine so this is a valuable experience for them. As well as this SI Jacalyn Prior, who woks for the probabtion service also had the chance to visit the local prison to experience what the conditions are like compared to UK prisons. And finally Major Mills had an opportunity to visit one of the schools ICT suites to see where they are with regards IT development, which showed the vast difference to schools back home with 12 computers been shared between 900 pupils!! 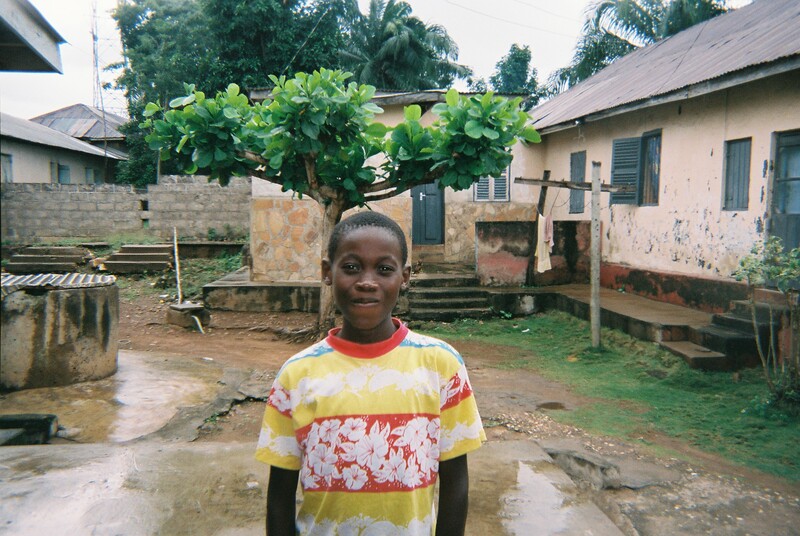 At KickStart Ghana we have many, many photos of the work that our volunteers do, finished projects, the beautiful beaches of Ghana and loads of other shots. What we felt like we were missing was an insight on how our beneficiaries, the young people of Ho, saw their home town. We decided to give eight local school children disposable cameras and a week to take photos of whatever they wanted. We gave instructions on how to use the cameras, I think this was the first time any of them had owned their own camera, but very little other guidance. We wondered if the cameras would come back in one piece, what the quality of the photos would be like and whether it would give us an alternative view of life in Ho. When the photos were developed we were delighted with the results. Not only were the majority of the photos a decent quality, they also gave a fantastic perspective to Ghanaian life from a young persons point of view. They show a Ghana that is rarely seen on charity or holiday company’s websites. Life looks difficult (pounding yam in that heat isn’t easy! ), but time is made to spend with friends, play and listen to music; exactly like young people do in the western world. Photos were taken during the annual climb up Mount Adaklu, to celebrate the Yam Festival, and of western volunteers living in Ho; a common site for young Ghanaians these days. 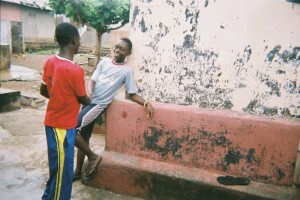 On of our strategic aims is to increase the levels of understanding in the UK about what life in Ghana is really like. This is also a question we get asked by potential volunteers over and over again and are always looking to give them an insight. Whilst we understand this doesn’t give an all encompassing view we hope it gives the viewer a small taste. To see the full album please go to our Facebook page. To see what KickStart Ghana does and how you can support the work we do please do visit our website.